When so many agencies that most see as local or regional are, in fact, controlled by the B.C. government it puts the very idea of local autonomy into doubt. The feud at the University of British Columbia over the sudden departure of president Arvind Gupta -- one year into his five-year term -- is also casting an unexpected light on the board of governors, a university body that rarely gets so much attention. 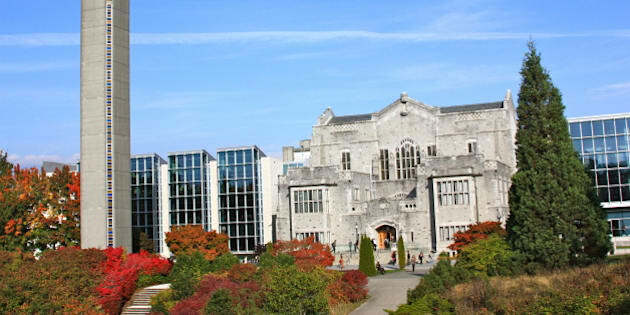 Most universities in the province have 15 members on their board, except for the University of B.C. which has 21 members. However, the boards are far from autonomous. The B.C. government appoints a majority of governors in both cases: eight for the smaller boards and 11 at UBC. McGill University, founded in 1821, somehow survives without a single government appointee to its 25-member board. The Ontario government appoints 16 members to the University of Toronto's board, but that's a far cry from a majority of the 50-member board, 30 of whom are elected to represent various constituencies within the university and the community at large. When it comes to doling out appointments, governments are rarely magnanimous about it. And if the B.C. government was looking for just the right pedigree with its UBC appointees, did it ever luck out. Since 2005, nine of the 11 appointed governors have made personal donations to the B.C. Liberal party totalling $137,395. One of the two that didn't, donated $2,295 through a personal corporation. Two of the nine also made donations totalling $4,300 to the BC NDP. They're never going to hear the end of that now. The board is also a veritable who's who of Vancouver's corporate boardrooms. John Montalbano is CEO of RBC Global Asset Management, Douglas Mitchell is national co-chair of Borden Ladner Gervais, and Fiona Macfarlane is a managing partner of Ernst & Young's B.C. practice. Throw in the relevant corporate donations and you're looking at another $387,274 to the B.C. Liberals ($12,075 to the NDP by one of the companies). One of UBC's governors even went so far as to use a fake name on a radio call-in show to attack an NDP candidate in the 2013 election and that was before he was appointed. The B.C. government's power at the local level doesn't end with universities. The umbilical cord is very much in existence with transit and health authorities, police boards and regional economic development bodies. Despite the fact that TransLink serves the Lower Mainland, the minister responsible -- Peter Fassbender -- recently made his way to Kelowna to announce two new board members to just one of the four boards that seem to be required to keep the beast running. All told, there are 25 members on TransLink's four boards, only two of whom are elected to local government. You won't find anyone who might rock the SeaBus: corporate directors, corporate lawyers, senior executives and, of course, plenty of B.C. Liberal party donors. Not exactly the folk you would expect to rub shoulders with on the 99 UBC B-line at rush hour. Montreal's transit authority -- the Société de transport de Montréal -- has a 10-member board, seven of whom are elected to local governments and three who represent specific user groups. None are appointed by the Quebec government. The long arm of the B.C. government also reaches into local police boards. Vancouver's board has nine members, seven of whom are appointed by the B.C. government. Toronto's board -- overseeing the largest municipal police service in Canada -- has seven members: three appointed by the province, the mayor or his designate, two councillors and one citizen selected by council. Same pattern exists with B.C. health authorities. All nine members of the the Vancouver Coastal Health Authority are appointed by the government. One is former health minister Dr. Margaret MacDiarmid. Six have made donations to the B.C. Liberals. The McGill University Health Centre has a larger board, but it's made up of individuals elected by the public, others elected by specific stakeholders, some chosen by the board itself, but not one directly appointed by the Quebec government. B.C. 's Northern Development Initiative Trust has a board of 13 individuals, five of whom are appointed by the province and the other eight through four regional advisory committees. No ex-Green party candidates on that board. Six B.C. Liberal party donors, though.